Tri-Sync Pallets are compatible with all M&R screen printing presses, and can be used with aluminum static frames, roller frames, and wood frames (Tri-Sync’s LED system does not work with non-conductive screen frame materials). They’re affordably priced, extremely cost effective, and have no moving critical registration points to wear out. 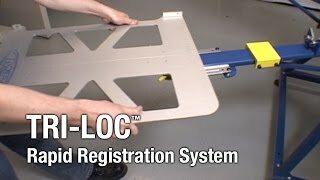 The Tri-Loc System employs precision-milled registration points to ensure that operators can precisely match the registration on the screen exposure unit with the registration on the screen printing press. Double Tri-Loc is M&R’s twin-screen version. Screens properly exposed on one side of the Double Tri-Loc will be in sync with screens exposed on the other side, dramatically reducing the time devoted to exposing screens. And by combining one of M&R’s large screen exposure systems with the Double Tri-Loc Screen Registration System, operators can burn two same-size screens at once. Master screen registration frames, available in numerous adjustable and fixed sizes, fit most popular screen frame sizes. Custom sizes are also available. 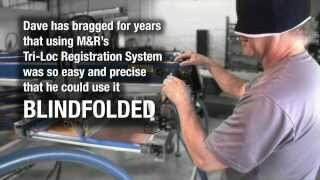 Cost-effective and easy to use, Tri-Loc Screen Registration Systems can reduce setup time by as much as 95 percent. Unprecedented simplicity and unsurpassed accuracy make Tri-Loc and Double Tri-Loc Rapid Screen Registration Systems the ideal choice for screen printers who refuse to compromise on quality—and don’t have time to waste. 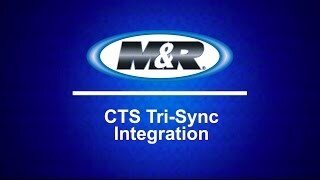 M&R supports new Tri-Loc owners with online video training. Tri-Loc owners who use film can watch online video of the setup process at www.mrprint.com/triloc-all.